The American Hockey League announced today that Texas Stars goaltender Richard Bachman has been named the Reebok/AHL Player of the Week for the period ending Nov. 21, 2010. Bachman went a perfect 3-0-0 in three starts for the Stars last week, stopping 87 of 90 shots (0.97, .967) along the way. Bachman began his week by turning aside 26 of 28 shots in an 8-2 win over Chicago last Tuesday. On Friday, Bachman made 35 saves and denied four of Oklahoma City’s five shootout bids as the Stars took a 2-1 road decision from the Barons. And on Saturday, he earned his second shutout of the season with 26 saves in a 2-0 home-ice triumph over Milwaukee. In recognition of his achievement, Bachman will be presented with an etched crystal award prior to an upcoming Stars home game. Drafted in the fourth round by the Dallas Stars in 2006, Bachman is currently 5-2-0 (1.91, .937, 2 SO) for the season and ranks among the AHL’s leaders in both goals-against average and save percentage. 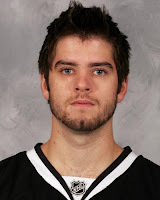 The 23-year-old native of Salt Lake City, Utah, spent two years at Colorado College and then split his rookie professional season in 2009-10 between the ECHL’s Idaho Steelheads and the Stars, for whom he went 4-4-0 (2.15, .932) in eight appearances.